Beryl is a group of minerals that belongs to the silicate family and consists of several other stones like emerald, morganite, golden beryl, aquamarine etc. It is made up of beryllium aluminum cyclosilicate and has a hard hexagonal texture. The name ‘Beryl’ is derived from the Greek word ‘beryllos’ that refers to a sea colored (blue-green) stone. Beryl is the alternate birthstone for November and the zodiac birthstone for the people born under the sign of Scorpio. It is also the talismanic stone for Sagittarians. 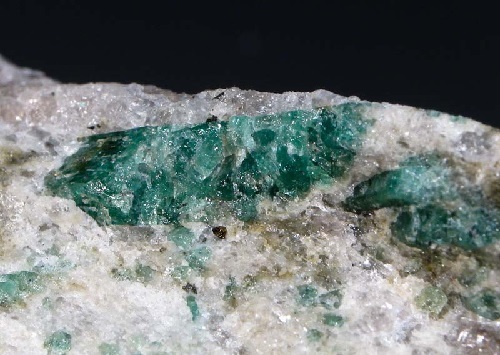 When granite or pegmatite rocks chemically combine with the silica deficient rocks to go through a process known as exometamorphism, the resultant mineral is beryl. This formation process usually takes place in the mica schist of metamorphic hydrothermal origin and granitic pegmatites, in compact, massive and columnar structures, and results in the formation of prismatic crystals of this mineral. Large deposits of Beryl stones are found in the Southern Urals’ Sanarka River, Altai Mountains in Asia, and in the Nerchinsk district of Siberia. In addition to that, small deposits of this stone are also found in Norway, Germany, Austria, Ireland, Russia, Sweden, Idaho, Zambia, Colombia, North Carolina, Utah, South Dakota, New Hampshire, Maine, Madagascar and Brazil. Prehistoric Hebrews used to worship this magic stone and believed that it strengthened one’s belief in god. In some cultures it was believed that this stone possessed psychic powers that can protect the wearer from evil spirits and promote marital love. According to historical documents, the famous Roman author Pliny used the powder of this stone to treat eye problems. Arnoldus Saxo recorded in around 1220 that if worn in litigations or battles, the wearers would acquire high intellect which would render them unconquerable and hence, victorious. Ancient Greeks were a step ahead of all the communities and utilized its refracting properties to create spectacles. At that time White Beryls were found at the island of Elba and they were cut and trimmed to create glasses. All Beryl crystals are attributed to the Sumero Babylonian goddess of chaos, Tiamat. These chaotic forces led to the creation of two worlds: earth and heaven, and this is the reason why people ask for her assistance when fighting with emotional and mental battles. Mother Tiamat is often depicted with a dragon or serpent. Since ancient times Beryl has been used to treat problems related to the stomach and nervous system. It can stimulate the mind and reduce depression, anxiety and stress. Moreover, kidney, intestines, eyes, and liver can also benefit from the healing effects of this stone. It has proven very effective in treating asthma, leprosy and cataracts. 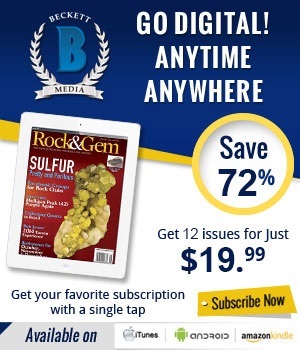 GemstoneWorld.com is a website dedicated to gemstones, rocks and mineral education. We update our blog and add content on a regular basis. Feel free to bookmark this page and come back often to check out the latest articles. 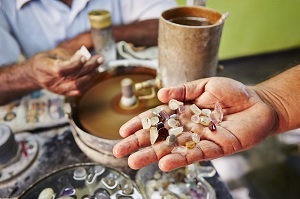 If you are interested in contributing content or have any questions for us, you can reach us at mail@gemstoneworld.com. 1 - Wholesale Created Stones – All You Need to Know About Them. 2 - Tips and Advice to Buying a 2ct Cushion Cut Diamond. 3 - NASA Didn't Find Life on Mars—But It Did Find Something Very Cool. 4 - Mineralogy’s Link to Ecology Makes an Earth Twin Unlikely. 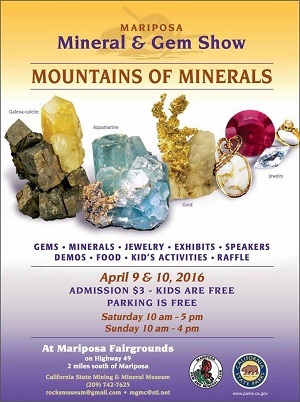 Copyright © 2019 Gemstone World. All rights reserved.